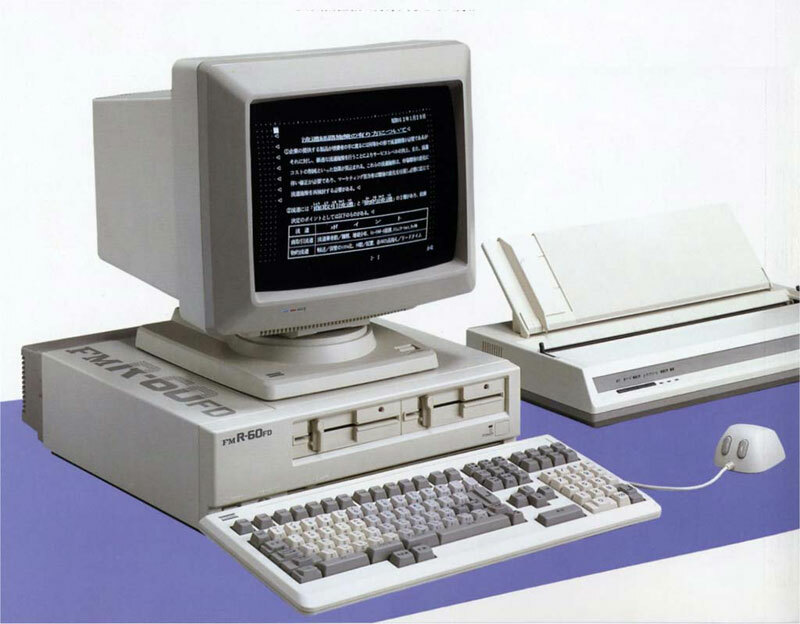 Later, the FM R-70, a model equipped with the 32-bit 80386 CPU was added for enhanced performance. 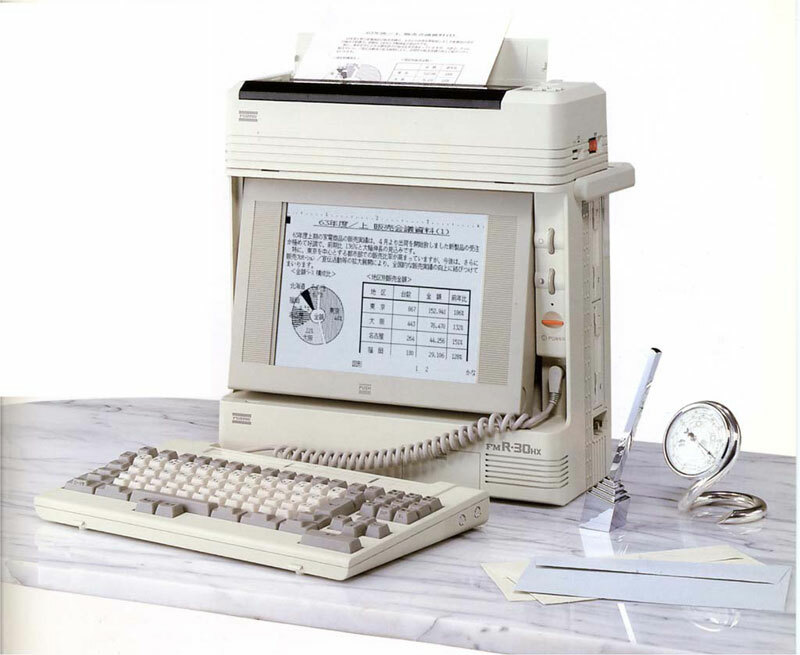 Other models were also commercialized: the space-saving transportable FM R-30BX (1987) and FM R-30HX (weight approx. 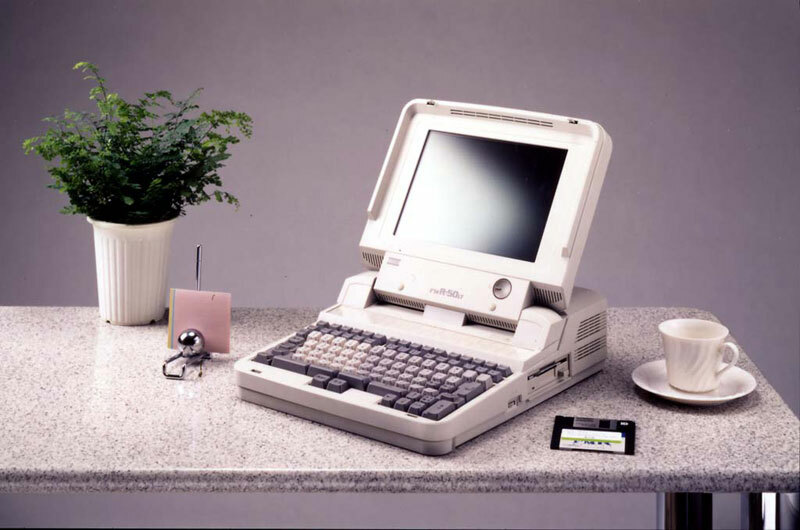 9kg, 1988), and the laptop FM R-10LT (battery drive with continue use time of 1-4 hours, weight 5kg, 1988) and FM R-50LT (FM R-50 compatible, laptop PC with plasma display, weight approx. 7.6/7.5kg, 1988). 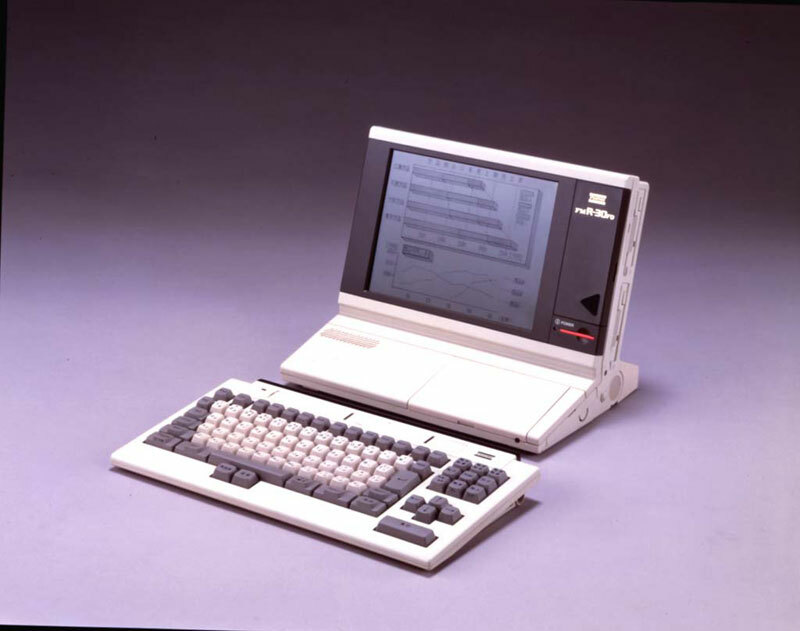 The FM R Series was Fujitsu's flagship business PC until the appearance of the AT compatible FM-V in 1993. The specifications of the FM-R Series were publicly disclosed, and the Panacom M Series was commercialized by Matsushita Electric.